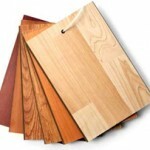 Are you searching for a perfect wood flooring? We’ll make it easy. Just stop by, or call us at 510.895.5133. We have a huge variety of hardwood flooring and offer helpful decorating suggestions to enhance the value of your home within your budget. Bay Area Hardwood Floor, a Factory Direct Flooring Import Retailer – We are the San Francisco Bay Area Hardwood Flooring specialists! With over 25 years of experience in the industry, we know how important the prices are, especially with current economic climate homeowners are faced with, getting the most out of your money for a quality product & best service is on everyone's mind. With that in mind, we stock all inventories LOCALLY at our warehouse, delivery times are reduced (no more waiting for weeks for your purchase to arrive), therefore installation is done in matter of days! We are a true factory direct importing retailer, we stock over 6 million sq. ft. of inventory locally with best prices directly delivered from factory to consumers. We have the shortest lead time for your order from 30 minutes to 3 days once your order is confirmed. Flooring is the last thing you usually install, however flooring should be the first thing in your mind because this 10% investment equals to 90% impression. 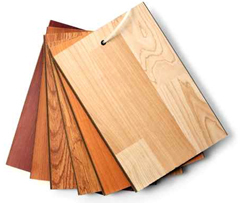 It adds resale value to your home, in fact along with kitchen, bathroom, or bedroom renovations, wood flooring upgrade is one of the most cost effective ways to add value to your home. Top quality with one-year warranty. 40% or more below retail prices or we’ll match the price plus 10% discount (same quality and specie and country of origin). Great service: 30 minute phone call return, same day pick up, next day delivery. Installation is provided by our 26 in-house installation crews. HUGE selection: over 6 million square foot inventory in warehouse at all seasons, over 70 species of hardwood flooring at our local warehouse space — WE DO NOT TAKE YOUR ORDER & CALL WHOLESALE SUPPLIER TO PLACE THE ORDER, WE HAVE THEM IN STOCK FOR YOU!! One stop shopping: 26 professional installation crew from $1.50/sq. ft. for click floating and from $1.99 sq. ft. for nail down, glue down, and floating. This luxury shopping experience does not cost anything however we will pay a referral fee on top of our GUARANTEED LOWEST PRICE in CA for our 6 million sq. ft. of top quality inventory located at our local warehouse to you for bringing us business. We offer contractors special quantity discounts and referral if you bring us new customers. Please ask our showroom manager for detail information.